Yesterday, I covered what is going wrong in the online business world. Today, I am covering how you can rise above and do it right. These are ways that you can market yourself and advertise your business so that you aren’t like everyone else. Ways that you can build a business and a brand for a lifetime, not just a really popular thing right now. Not only that, but this is actually a way that you can build a business you love, not just a business that will make you lots of money. One of my biggest motivations is helping women find careers they love and start businesses they love. You would be amazed at how many women have businesses they hate. They have designed them to make money instead of designing them based off what they love. They now have no time and have to make sacrifices in their lives to keep their business going. It’s easy to rise above, stand out and create a business you love. The 5 step steps are below. But here’s the thing. You can’t just read them. You have to promise me that you will take action. You actually have to do them. Instead of relying on other people to grow your list for you (such as the tele-summit in a box strategy I told you about yesterday), YOU actually do the work of getting to know your audience, figuring out your niche and you ideal market’s frustrations. Don’t get 23 people together and expect them to build a business for you and help you discover how to serve your audience. Growing a list that doesn’t know you at all is not starting a business. Your action: Create a survey and share it anywhere and everywhere. Talk to your ideal client and ask them questions about what they need and want. Study all of their answers. Write them down. Create a cheat sheet of all of their answers that you reference anytime you do anything in your business. 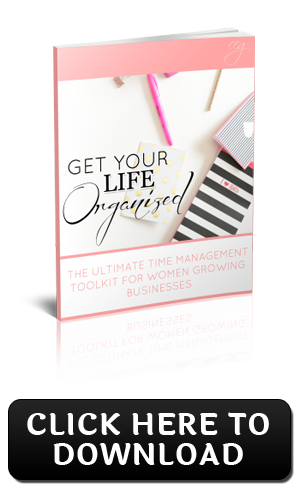 As much as I love to give away the step-by-step in my business launch course, Corporate Rescue Plan, and give you the exact how to build a list and other little tasks on this blog, each part of my course and the articles I write on this website are designed to bring out your most unique self. You need to be different. You need to stand out. You can’t do it exactly like me. I can’t do it exactly like you. I give you a plan. Follow it. Tweak it. Change it. Make it yours. But, whatever you do, be 100% you. Your action: Journal every single day. Meditate. Be quiet. Get off Facebook and social media and write down what you truly value in your life. Write down in your journal what you would tell your ideal client if it was the last thing you could ever say. What do you REALLY want to tell them that you might be scared to tell them? What do you really want to do with your life, but are scared of what other people will think and have lots of fear inside about it? Discover yourself first and what you enjoy doing the most. 3. Unfollow, Unsubscribe and Lead. Inspire your tribe. Do something cool and different to rise above the rest of the “same old”. What content do you love sharing even if you don’t think there is a market for it? Go through your emails you have deleted over the last week and unsubscribe instead. This is where you trust yourself to guide you instead. You trust your own unique self who can take you so much farther than modeling anyone else already out there. There is something inside of you that is meant to impact and change the world and if you are studying all these other people, you will never be able to get it out and make that difference you are meant to. Stop following and start leading. No matter what stage of business you are in, you have to lead the way. You action: Use Unroll.me to save time removing yourself from daily emails you signed up for but now don’t really need. Remove yourself from email newsletters that at one time you wanted to model what they were doing. Remove yourself from every email and social media profile that is getting in your way. Remove the ones where you think, “Wow! She is doing that. I wish I could be like her. How does she have the time? Oh, she teaches it like that, I don’t. Maybe I am not as good as I think I am.” You do not need to be reading that stuff! Then, start hiding people and pages on Facebook that are not influencing you positively. 4. Don’t Share What. Share how. I have to give Mirasee credit for sharing this marketing trend that I couldn’t agree more with. This is key. Don’t just share information. Educate. Don’t share what to do. Share how to do it. I am a huge fan of learning. I am always buying books and courses. I try in all of my own programs and even in these blog articles to teach the how step-by-step. But, other’s don’t and it drives me crazy when I invest in something and it’s just a bunch of information and no practical step-by-step guidance. Teaching is big, but not everyone online is a teacher. Taking a course to hear someone go off the cuff nicely, presented in a membership site is not a helpful course. I have invested heavily in learning HOW to teach and put courses together. If you are going to educate anyone online, I highly recommend taking Udemy.com‘s free course on how to create a course. Whether you end up publishing your course on Udemy or not, this course made a big difference before I launched my 2.0 version of Love Your Career Formula. If I am buying a course. I want guides. I want checklists. I want downloadable audios and videos. That’s how I create my courses and I expect the same from other people. Stop worrying about the next step in your funnel and what you want to lead people to and you can only give so much information that isn’t already in your next upsell course. Just share great content! Teach them exactly how you started…for free! Your action: What do you know? What can you share? What have you done or learned that you can break down step-by-step and teach someone? If you like to talk a lot and have a tendency to ramble, create an outline and some simple steps that you can give away as a guide with your training. Then, practice going through it and always get feedback to make it better. I have improved my courses every few months over the last four years and continue to do so each time I get a survey back. People want to get to know you better. They want the personal touch. They want to feel understood and they want to trust you in order to buy from you. No longer can you just create a product or website without creating a community around it, too. This was so much easier than when I started and had to figure out how to put a forum on my website (impossible). Now you have a free Facebook that you can start today to start getting to know them better. In our Classy Career Girl Network Facebook community, I can ask them questions, get to know them better, share really great content, take surveys and answer questions. It helps me create relevant content by knowing what they need and the questions that keep coming up and it inspires me to give more when I see them getting results with what I teach. Your action: Create a community. Invite people who are already following your blog or that you just know personally into a free Facebook group and start getting to know them. Remember, don’t just create a group and then not keep it up. Check in daily and share something helpful. Whatever you do, don’t delegate this step! Please share what you think in the comments below! 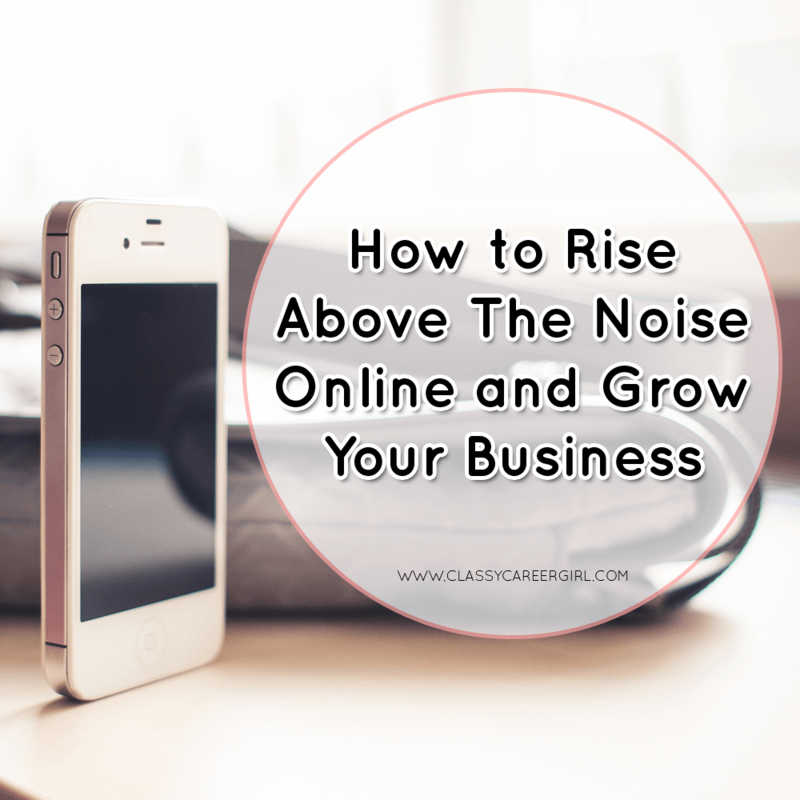 How do you rise above the noise?